We are proud to display the Tattnall County Warriors Logo on our web site, and Broadcast all the games on WRBX-FM and WTNL-AM. We are the Radio Home of the Warriors. 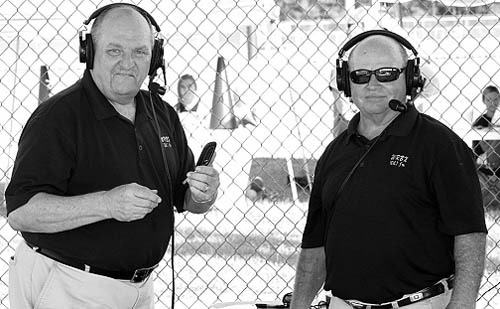 The voices of the Tattnall County Warriors. Johnny King (Left) & Jackie Trim (Right).